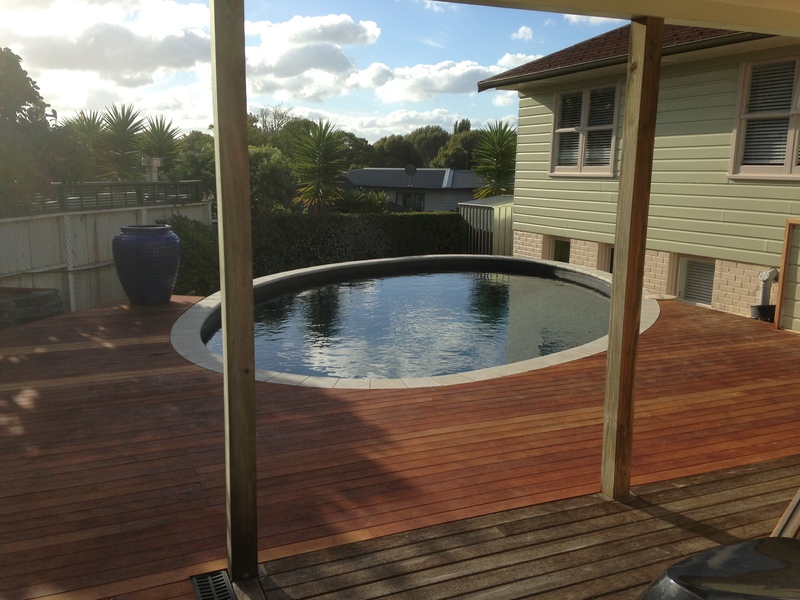 Swimming Pool Builder | Auckland – Completed Delux Pool. Swimming pool builder, Danny Cottrell completed this Finishrite Pool on a small sloping site. The pool shape was determined as a result of restrictions with drainage. However we wanted to create the pool length and width suitable for this family. The end result is a delighted client with a complete swimming pool by Finishrite. Location : St Helliers (Auckland). Pool Builder Auckland | Finishrite Pools. To find out what type of pool and shape would suit your property please contact our Swimming Poool experts. If you would like to construct your own pool, we have DIY swimming pool kitset.